In fact, a word of caution: DO NOT READ “The Jack o’Lantern: A Dark Harvest Tale” until you’ve read Dark Harvest. That story is so closely related to Dark Harvest that it will ruin it for you if you read the story in this collection first. I did, and, yes, it did indeed ruin the ending of Dark Harvest for me. Johnny Halloween is a fairly quick read. It took perhaps two hours to consume its 125 pages. While every story is not specifically Halloween related, at minimum they each contain a spooky overture inline with the spirit of the holiday. Supernatural elements are present in only some of the stories, though the setup for something otherworldly is there in almost every story, so it isn’t until the end that you find out just what you’re dealing with. When a story does delve into the supernatural, it does it effectively, with the right amount of spookiness and unexplained mystery. The author’s style, which is easy and flows well, reminded me a lot of Stephen King. There’s a fair amount of swearing, but it’s used effectively. 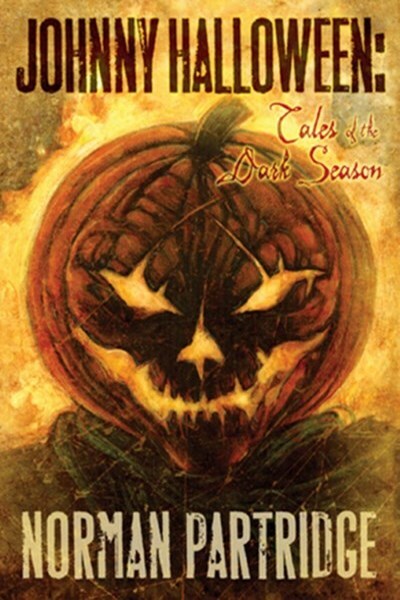 The best story in this collection was “The Jack o’Lantern.” It contains the heaviest dose of supernatural elements and was a real page turner. The worst? Calling anything in this collection “worst” doesn’t feel right because I found all of the stories well-written and enjoyable in their own way. But if I were to call it the “least ranked” instead, I’d say the story “The Man Who Killed Halloween” rated the lowest. The author makes a point of discussing in the introduction how he grew up in the 1960’s in the Bay Area where the Zodiac killer struck multiple times and so this story is obviously his expression of that time period in his life, but it fell somewhat flat for me. I don’t doubt having the fear of a serial killer hanging over your every waking moment is something tangible and real, but I didn’t feel those elements were conveyed well in the story itself. All told, Johnny Halloween is a good collection and a worthy read for this Halloween or any other. I give it three rockets.